Why would I need self storage in Berwyn, IL? There are a variety of reasons why you might need self-storage in Berwyn, IL. How much is a storage unit in Berwyn, IL? The cheapest storage unit in Berwyn, IL is $55.00 per month. What size storage units do you have available in Berwyn, IL? In Berwyn, IL we have sizes that range from 5'x5' to 10'x30' to suit your storage needs. How much is it for a 5'x5' storage unit in Berwyn, IL? The cheapest 5'x5' storage unit in Berwyn, IL is $55.00 per month. Berwyn is a flourishing suburb of Chicago, home to a diverse community featuring families of Czech, Bohemian, Greek, Italian, Polish and Ukrainian descent. Due to its large number of financial institutions, the city's main corridor has been referred to as "The Bohemian Wall Street." 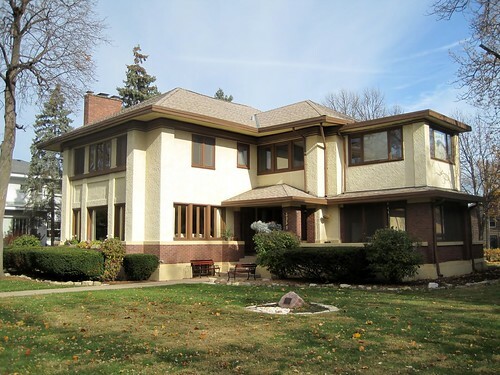 Berwyn is a popular Chicago suburb with easy access to everything the city has to offer. 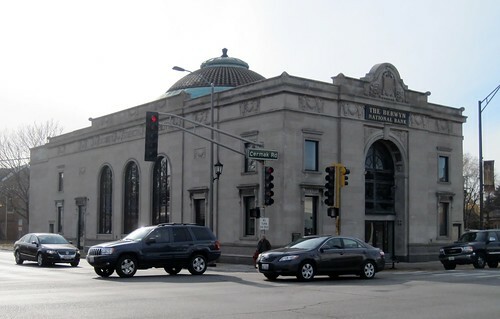 Just eight miles from Chicago's Loop and included on several public transit routes, Berwyn offers all the perks of Chicago living with its own distinct sense of community. One of the city's most distinct characteristics is the large variety of housing styles it has within its boundaries. This variety, combined with the high housing density in Berwyn, has earned it the nickname "The City of Homes." The arts and culture scene in Berwyn has expanded in recent years, thanks to a growing artist population that has settled in the affordable suburb. It's now home to a professional equity theater, several music venues and a city Arts Council. Local events are also a big part of the Berwyn community, and have been for several decades. The city's Vintage Car Show and cultural celebrations are major events for locals and visitors alike. Many large businesses are concentrated in Berwyn's four business corridors: Ogden Ave, the Depot District, Cermak Road and Roosevelt Road. Ogden Avenue is dotted with a number of car dealerships, while the Depot District is home to many local, independent businesses. Cermark Road was the area of the city nicknamed "The Bohemian Wall Street," for its many financial institutions. Now, it's lined with many different restaurants and retail shops. If you're looking for a job in Berwyn, there are a variety of options thanks to its diversified economy. Major employers in the area include MacNeal Hospital, the local school districts and the city of Berwyn. The public schools in Berwyn fall under the jurisdiction of a few different districts. St. Odilo School, St. Leonard School and The Children's School are the primary private schools in the city, offering an alternative to public school. Utilities: The city facilitates residential water and sewer services. Commonwealth Edison provides electricity to Berwyn. Transportation: The Pace Bus system services Berwyn, and you can utilize the Ventra pay system to simplify the process. Personal Vehicles: All vehicles must have a current city sticker displayed. You'll have 30 days to purchase a sticker for your vehicle. Voting: You must be a Berwyn resident for 30 days prior to the election in order to vote. The city is home to a varied housing market, featuring Queen Anne-style Victorian homes, cozy 1.5-story Workers' cottages, spacious 1910 Foursquares, charming Chicago-style bungalows and Tudor Revivals from the 1940s. Many of the homes have historic charm. Because of the area's high desirability, the median home price in Berwyn is higher than the Chicago metro averages. Our lowest priced units in Berwyn, IL average $55.00 per month. 52 people have reserved units in Berwyn, IL in the past 30 days. There is 1 location within Berwyn, IL's city limits. There is 1 location in Berwyn, IL that offers AC and Heating features.